Categories: Azhwars, Guru, Mahans, Spirituality. 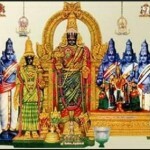 Madhurakavi Azhwar is unique among the 12 Azhwars, who were all great devotees of the Lord. Read this article about him and now see if you can crack this related quiz. 3.	Who was Madhurakavi Azhwar’s guru?